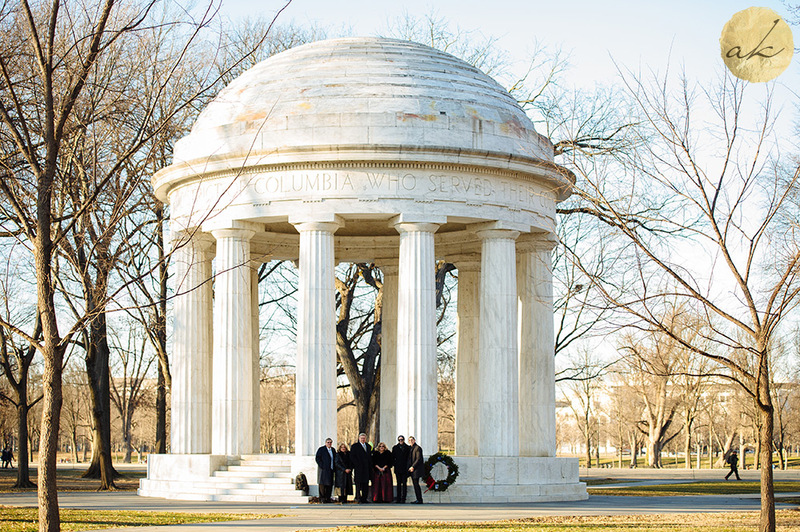 The DC War Memorial served as the perfect backdrop for Julie and Matthew’s intimate Washington DC wedding. 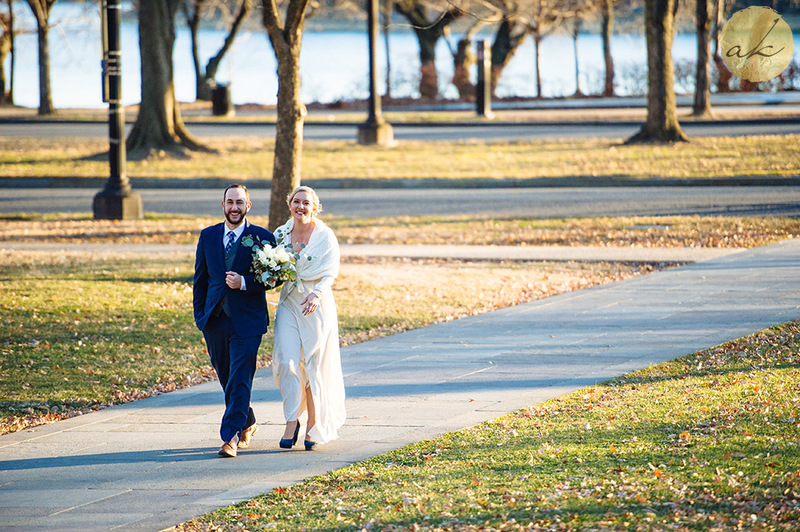 Julie and Matthew’s family gathered on a very chilly December afternoon to watch them tie the knot. To say it was chilly is an understatement, but everyone was a trooper and beyond happy to be there for Julie and Matthew. December never disappoints with perfect lighting when the skies are clear. Did I mention that light?! And the cold temperatures made for tight snuggles. Julie’s wedding dress was to die for! Simple, classic and perfect for the intimate gathering. With the family on the party bus enjoying the heat, we visited Washington DC landmarks. 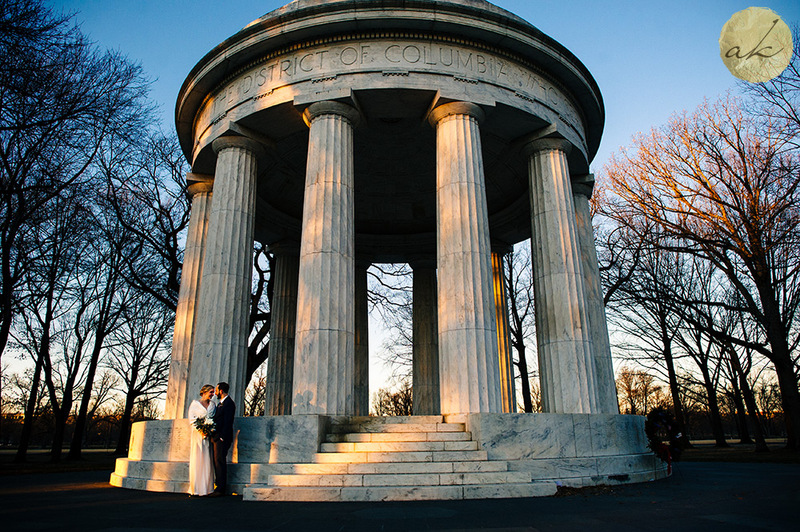 No DC wedding is complete without the Lincoln Memorial as a backdrop. Our last stop was at Eastern Market before their family dinner.